Located in Miami Beach, Lario’s On the Beach is one of the hippest restaurants Florida has to offer. The restaurant is owned by Emilio and Gloria Estefan and offers one of the coolest Cuban vibes around. People often comment that the Cuban cuisine is incredibly authentic, tasty, and addicting. After many a search, many people come to find that Lario’s On the Beach is their favorite Cuban restaurant throughout all of South Beach, and even the wider state of Florida. Some of the best items to order off of the menu include the famous Moijtos and Churrascos a lo Cubano. People even comment that the side dishes, such as rice or beans, are simply delectable. A great dessert to order at Lario’s is the one of the richly favored flan dishes or a tres leches cake. The restaurant is located right on the beach. The patio scene turns absolutely gorgeous at night, as it is outfitted in a fun tropical theme. Also, the patio offers a wonderful opportunity for patrons to star gaze when night falls. The live Latin band is a big draw for many of the people that visit Lario’s. The music creates a great ambiance during the day, and sure spices things up at night. The loud sounds of the bongos often attract people merely taking a walk on the beach to go check out what’s happening. Even famous celebrities simply can not get enough of the great cuisine Lario’s has to offer. When she was filming a movie in Miami, Jennifer Lopez ate at Lario’s On the Beach every single day! They have a sister restaurant that is equally as amazing. 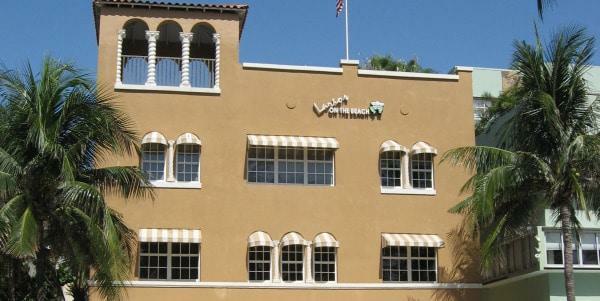 The name of the sister restaurant is Casa Lario’s and it is located in West Miami. Casa Lario’s is the original restaurant and is owned by Quemtim Larios. Overall, Lario’s On the Beach offers a fine Cuban cultural experience for those eating at the restaurant. The food and live music create a truly funky atmosphere.